We love products that our kids can review too, because they give such honest answers about the products. 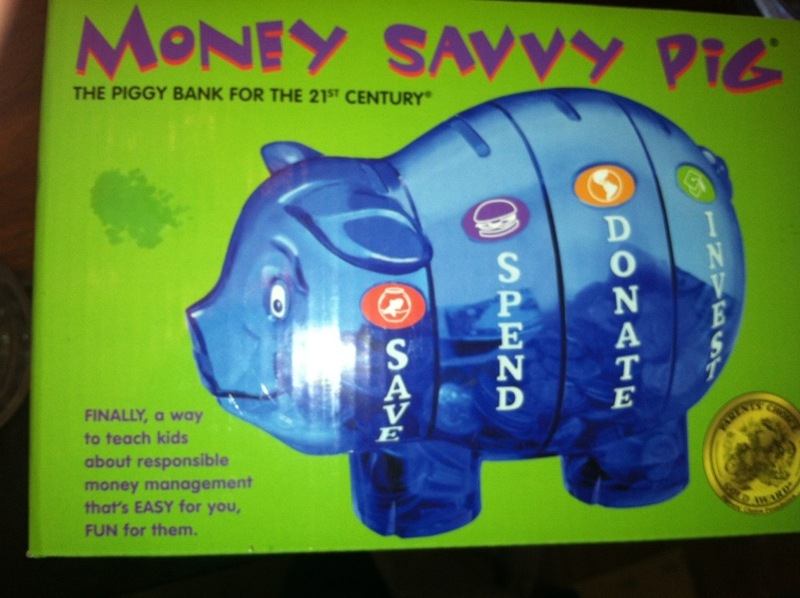 When the Money Savvy Pig arrived, all three of my children tried to claim it as theirs. I set it on the shelf, as I intended to give it to my oldest daughter who is 10. She already has a savings account and has a tithing "bank" set up for donations as well. The next day, the Money Savvy Pig was gone. I looked everywhere for it, and could not find it! 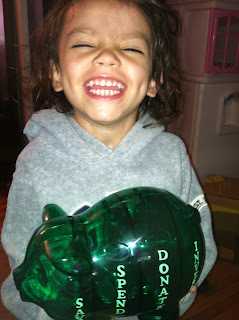 That evening, when I tucked my youngest into bed, I found her "snuggling" the Money Savvy Pig. I have no idea WHY she finds it fascinating, but she does. She already had a regular piggy bank, but this one has not left her side since she "rescued" (her word) him from the shelf. 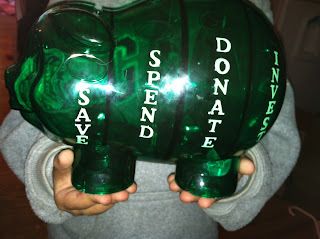 So, the Money Savvy Pig went to my 3 year old, but it is AMAZING. We were lucky because grandma and grandpa had just given her money for her birthday, so she had a choice to donate, invest, save, or spend her money. We talked about what she may want to save towards, and she decided she wanted a new Hello Kitty outfit. She chose the sticker for the "save" category and she placed her money in the save area. We have discussed what each area is for, and each time she places money in, she asks what they say. She is just learning to sound out letters for words, so this is perfect for reading as well. 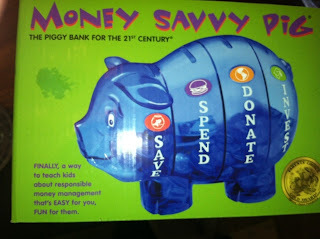 Although the Money Savvy Pig may not have been intended for someone so young (it is designed for children aged 4-11), I feel like she is learning money management early, and you can never start too early. Her brother, who is 6, has also taken an interest and we have spent a lot of time discussing investing, saving, spending, and donating. She adores her new Money Savvy Pig, and that makes me happy. I am a purist -- I love a pink piggie! I like the blue piggy. Id pick the blue pig for my grandson. My grandson would like the green one. I like the pink piggy bank. I like the green bank.